Rakhi is facing a case related to alleged objectionable remarks against sage Valmiki. 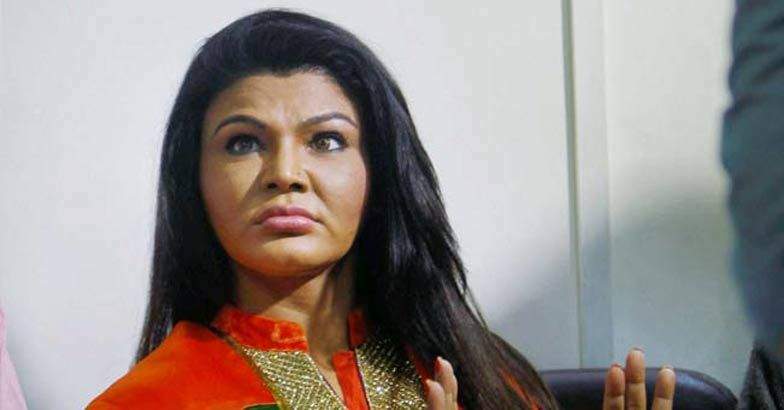 CHANDIGARH: A court in Ludhiana on Friday cancelled the bail granted to controversial actress Rakhi Sawant and issued fresh warrants against her. The bail for Rakhi was cancelled just a day after the court had granted it to her on Thursday. The court directed that she be presented before it on August 7. The bail was granted on Thursday after Rakhi appeared before the court and surrendered a day before her hearing. She entered the court wearing a burqa to avoid being detected. The court cancelled her bail and issued fresh warrants after Rakhi did not appear before it on Friday when the regular hearing of the matter was listed. Court officials said that the actress had submitted an "unconditional apology" to the Valmiki community for her earlier remarks made on a TV show last year following which a complaint was filed against her with the Ludhiana police. Rakhi secured bail after furnishing two bonds of Rs one lakh each. She later left for Mumbai. "I went to the court and I was tortured there very badly. A group of people even used abusive words. What was my mistake? I did nothing wrong. The court granted me bail, but now once again the warrant has been issued against me," Rakhi said in a statement. "I don't want to go to Ludhiana. Why can't they pass the case to Mumbai court. Where is women security? I never wanted to be in a burqa. But I have my own story, 'Lipstick Under My Burkha' and I really need help," she added.